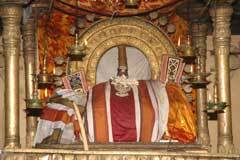 Vaikasi Wedding festival in May-June; Aadi Pooram in July-August; Shivrathri in February-March; Aipasi Annabishekam in October-November and Tirukarthikai in November-December are the festivals celebrated in the temple. 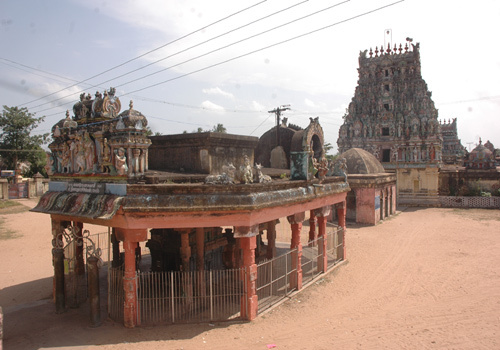 Sri Kayaroganeswarar Temple, Nagapattinam-611 001. 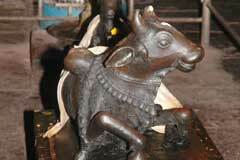 +91- 4365 - 242 844, 98945 01319, 93666 72737. Lord Bhairava, usually appearing with His dog vehicle, has Lion – Simha as his vahan. When Sage Pundarika worshipped Lord Shiva here, Holy <?xml:namespace prefix = st1 ns = "urn:schemas-microsoft-com:office:smarttags" />Ganga sprang up in this place along with Lord Bhairava. 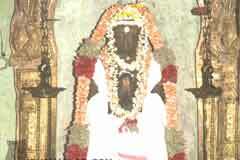 He is gracing as Kala Samhara Bhairava in this temple. The Simha vahan is behind Him. 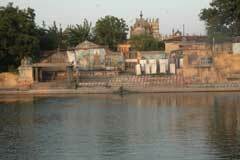 It is believed that Lord Shiva Himself is gracing the devotees who hit Yama the God of Death. 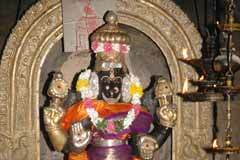 As Lord Kala Bhairava is facing South, devotees pray to him for longevity. 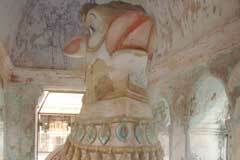 As He looks furious, two smiling Vinayakas are installed before Him. 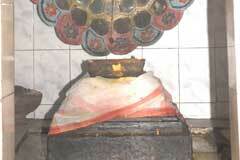 The deities for the eight directions have their due place in the temple. 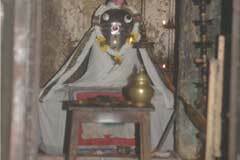 Mother Gajalakshmi in Her sitting form graces the devotees with two elephants offering abishek. 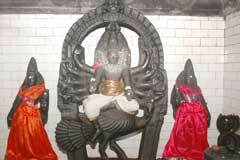 Lord Dakshinamurthi is in the ghoshta wall with His four disciples. As the temple is on a sea shore, it is said that Lord Shiva is ruling the region as a king, hence the name Shiva Rajadhani –capital of Shiva Kingdom.